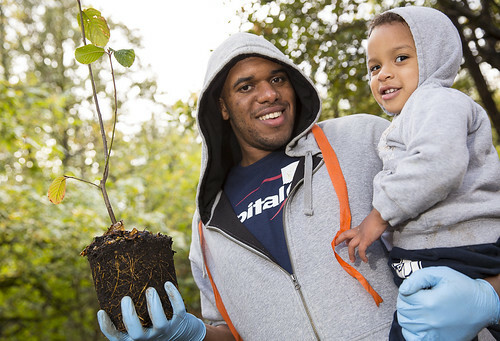 Join us as we contribute to our community by planting native species in our beautiful public parks with Friends of Trees! All the while we will learn more about our natural environment and each other! Please arrive to the staging site by 8:45am to enjoy some hot coffee and breakfast treats. The planting starts promptly at 9:00am. We provide gloves and tools, so all you need to do is show up dressed for the weather and wearing sturdy shoes. Our neighborhood volunteers will also provide a potluck lunch for all volunteers after the planting is complete.